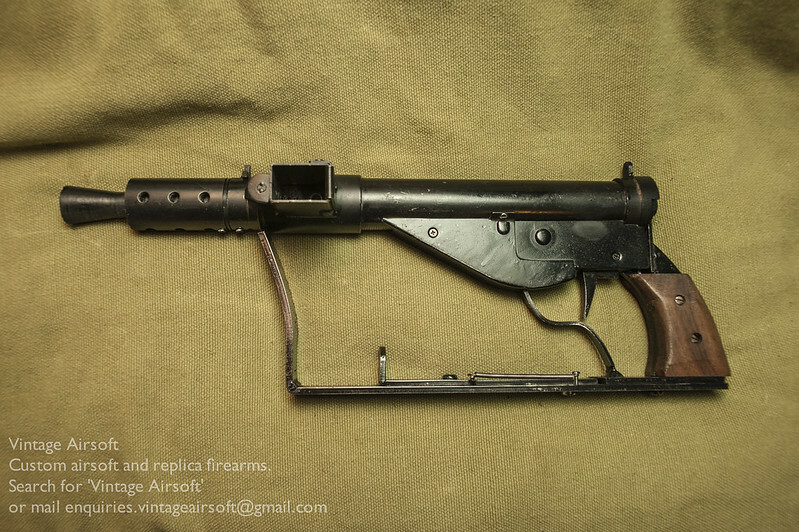 The completed Sten MkIV. Perhaps not a looker, but definitely one of the most practical SMGs I have built to date. When folded, this easily fits in a backpack making it a much more portable choice than my usual long rifles. 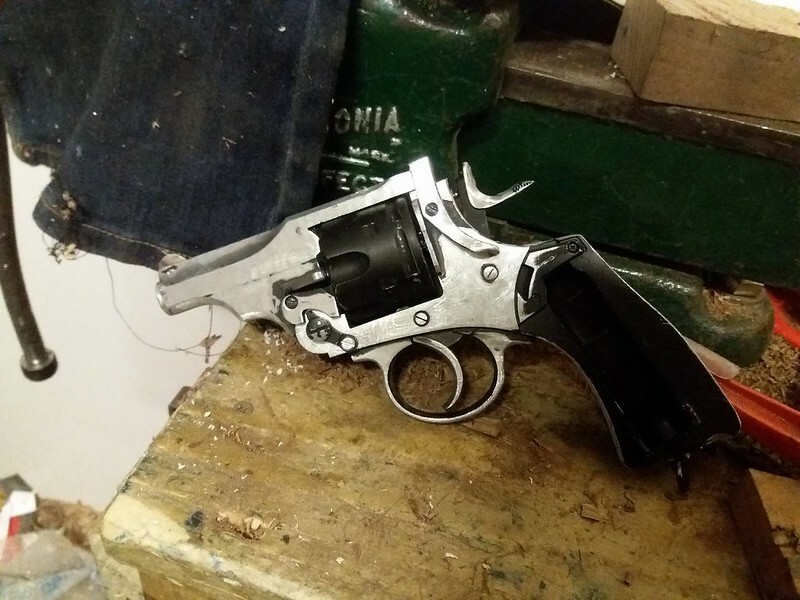 The large trigger guard makes it ideal for use with gloves in cold conditions. 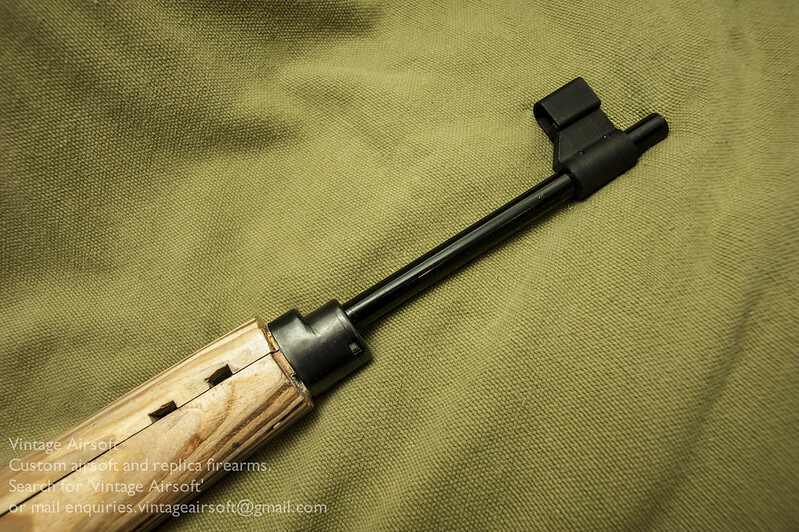 The buttstock when folded also makes a handy foregrip. In CQB this is very practical for when poking round corners. 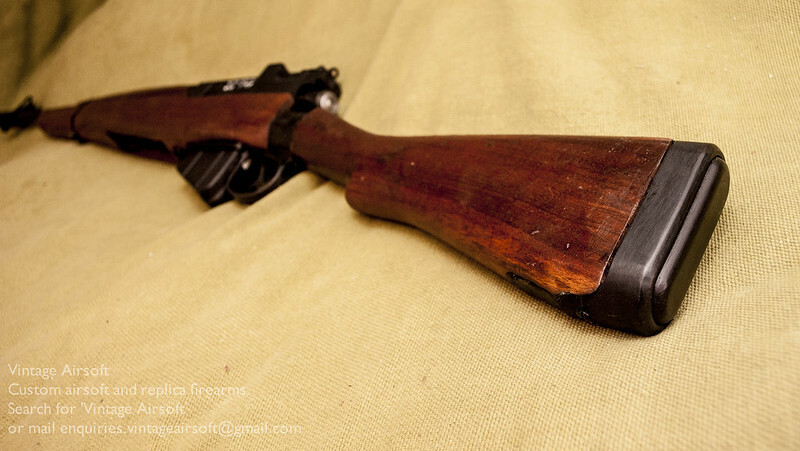 When you want a little more shooting precision, just grab the inner tongue and pull it towards the buttstock. 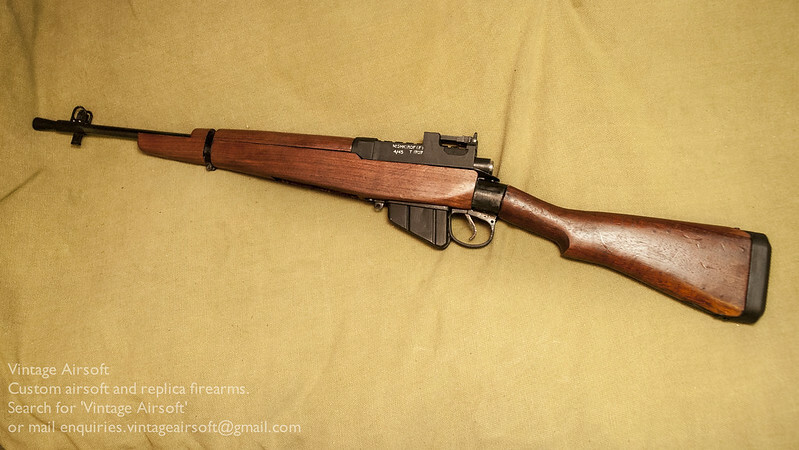 You can then unfold the stock and lock it into position at the back. This is pretty comfortable in this layout, though I am not sure if recoil would be easy to control. 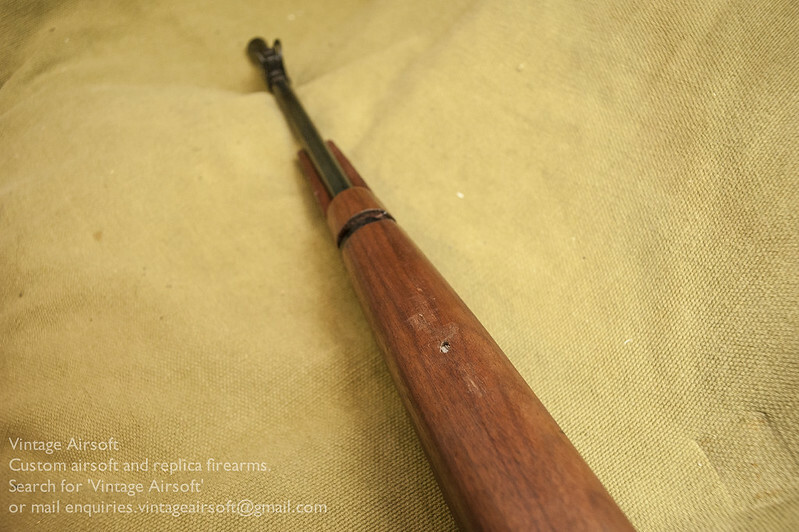 I can see how the flat steel would be uncomfortable for prolonged periods of shooting, but no more so than many of the previous models of Sten gun. Frankly compared to the prolific T-stock this would still be a huge improvement so I don’t understand how this was rejected due to being uncomfortable while shooting. If you missed it, you can see the build post for this project here. 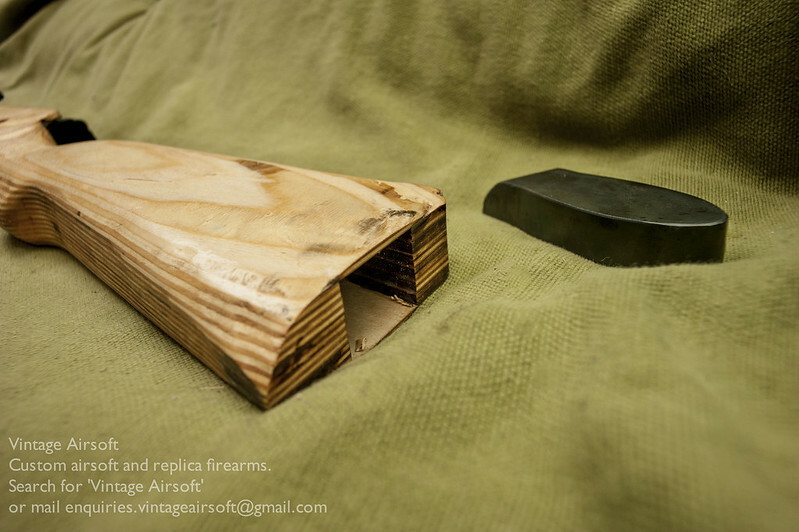 If you are interested in this project or have an idea of your own, drop us a line on enquiries.vintageairsoft@gmail.com to discuss. ‘Like’ our Facebook page or follow the blog to get regular updates on projects and interesting videos and articles. Don’t forget you can buy our smaller items via Etsy. Our larger items can be found here. I know some people are quite excited about this project so let’s get straight stuck straight in with some pictures! 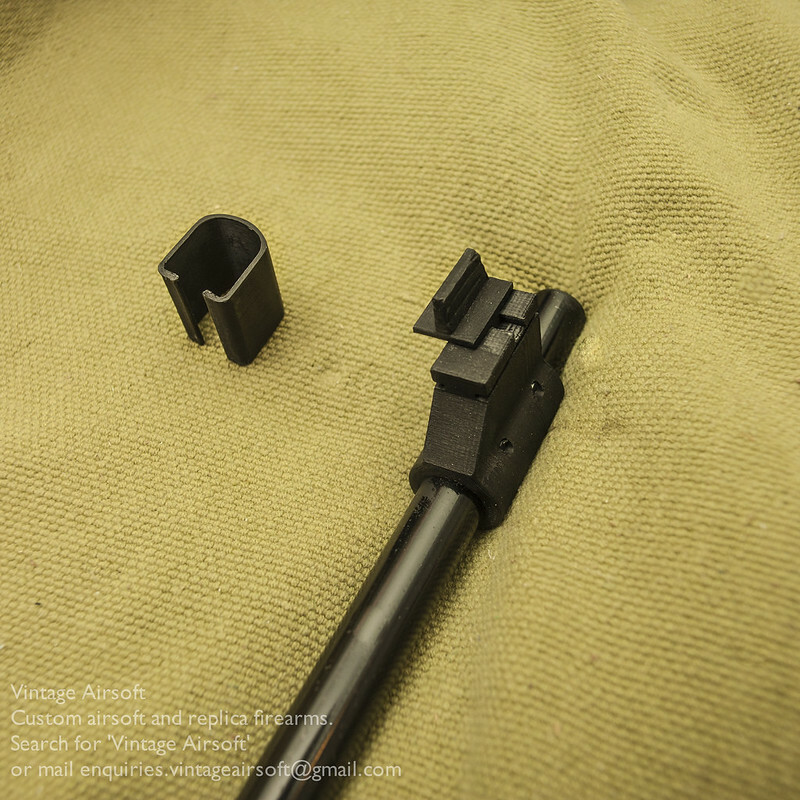 The rear sight, adjustable for elevation via the leaf. 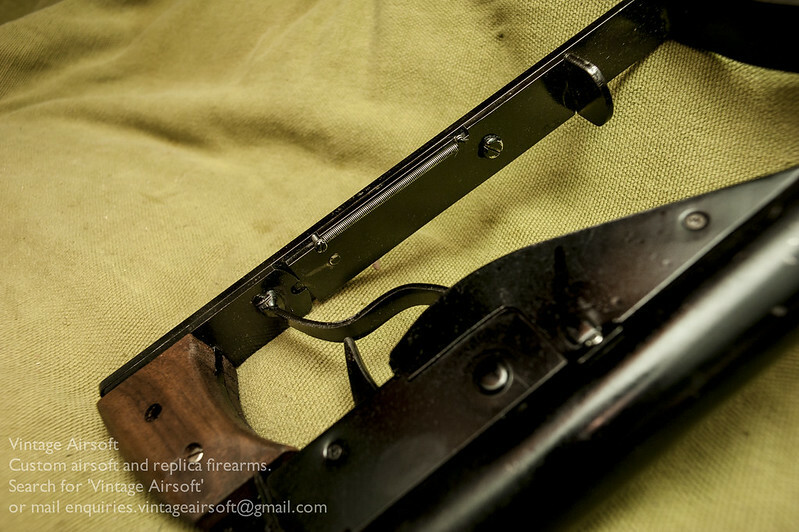 The rear sight adjustment is controlled by the bar across the leaf which is held in place by teeth and spring tension. The receiver open. You can now see the finishing touches to the slide, which has been painted up using a mix of acrylics and coarse sand. This simulates the rough cast surfaces left over that were not milled flat as a manufacturing expediency. The foresight unit, 3D printed and pinned in place. The blade is adjustable for windage once the hood is removed. The barrel is black painted. Production versions of this may be oil blacked, though the fore-end cap will likely be printed rather than metal. 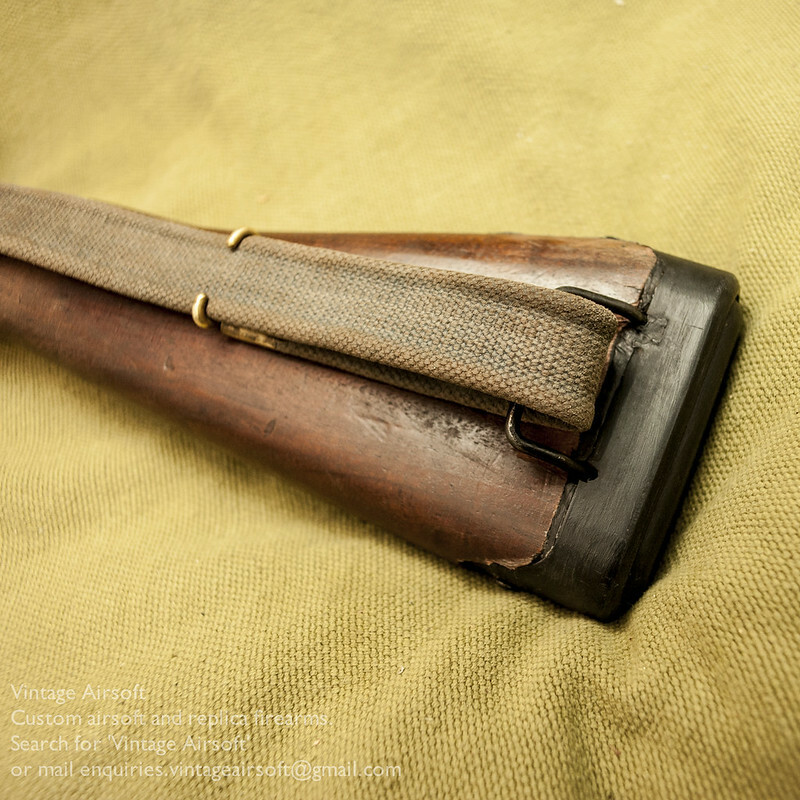 The magazine well and trigger guard. 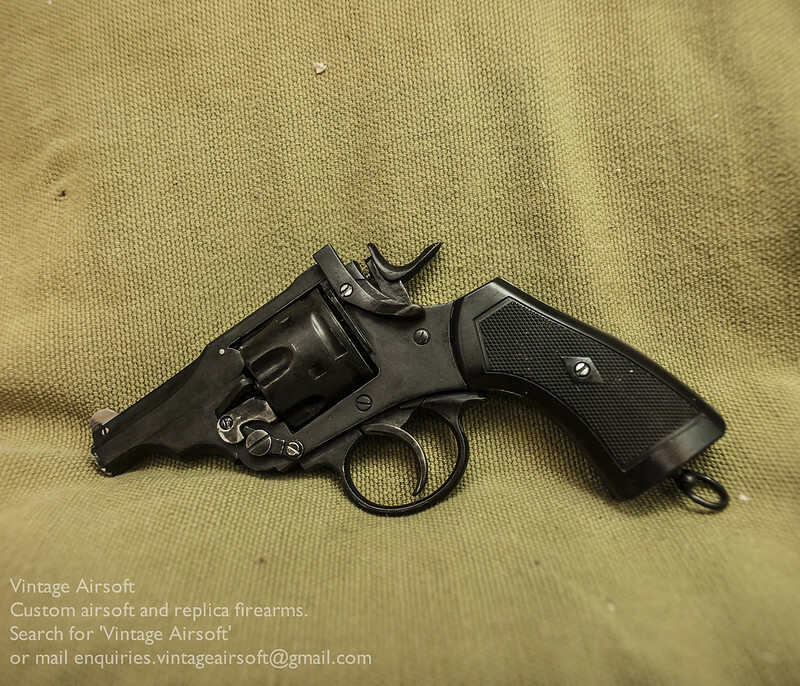 I may have to beef up the trigger guard in future versions. 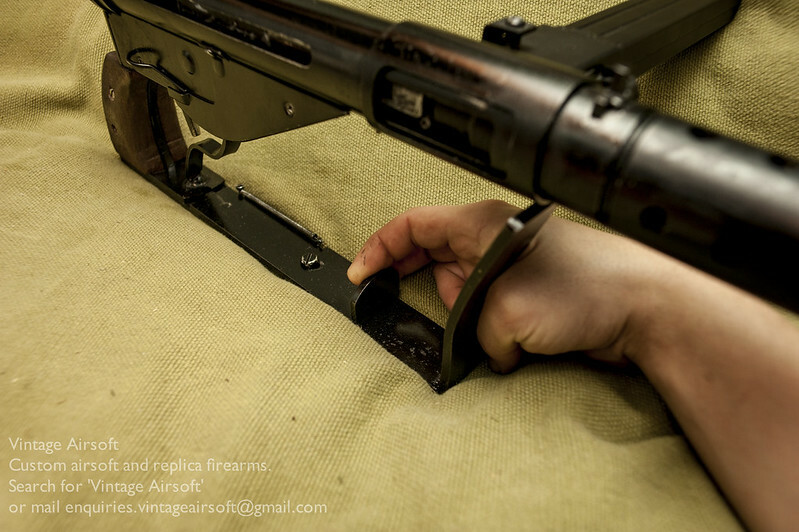 The magazine release is the small catch between the magazine and the guard. Although not greatly ergonomic, the original was designed to be fed with stripper clips to be fair. 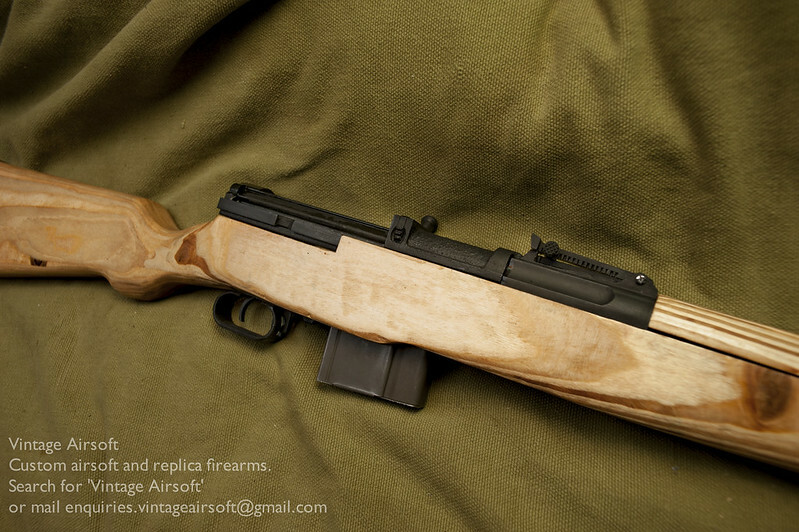 The buttstock needs a bit more work for production, but it’s a satisfying result. For production I am going to try and put a sling mounting through it as per the original. The buttplate comes off to access the battery compartment. A quick view down the gun from the back. I’m very pleased with this build I must admit. It looks the part and has a nice heft to it. 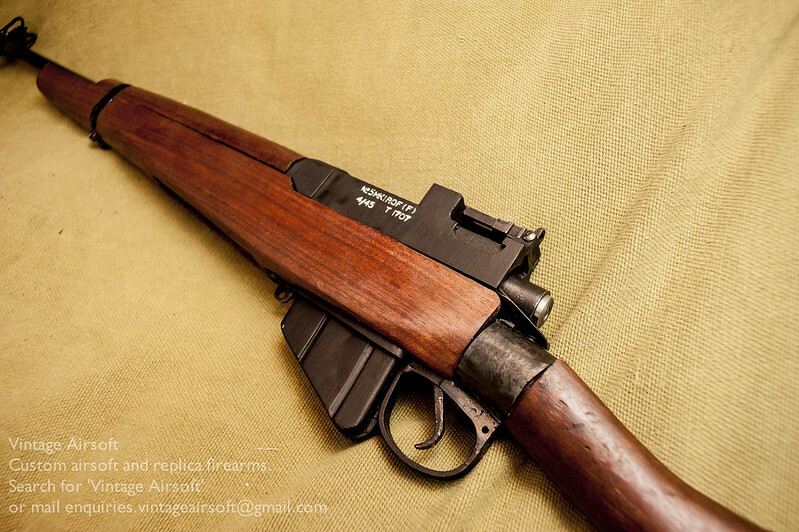 Of course there have had to be some dimensional changes to fit the airsoft internals, but they aren’t any worse than AEG M1 Garands and without a direct comparison it ought not stand out too much. 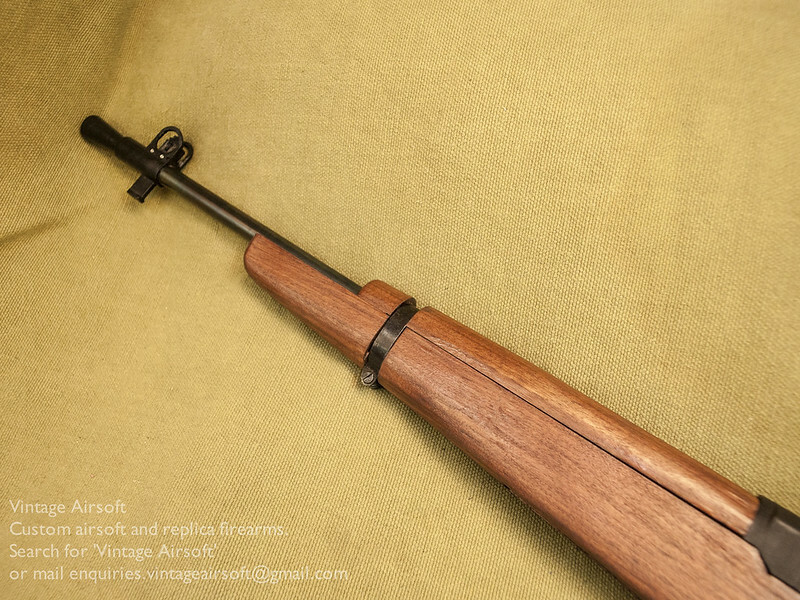 Finally WWII airsofters have an option for a rifle that isn’t a K98k or an STG44. 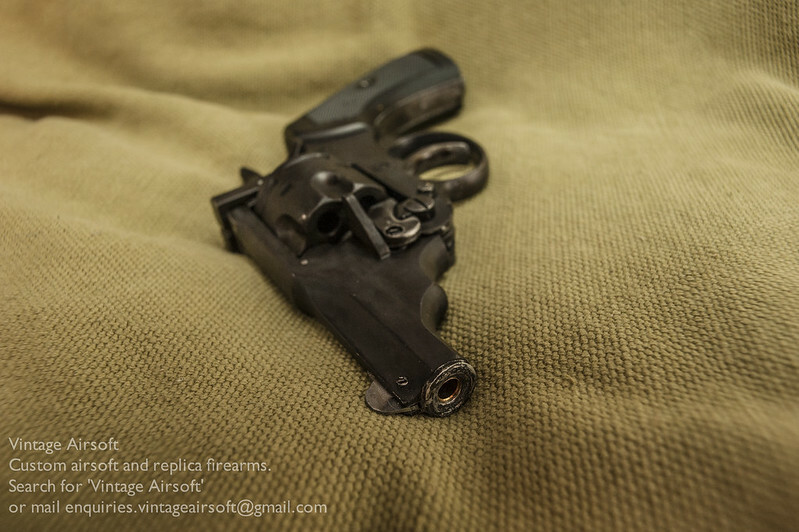 If you have enjoyed this project or have an idea of your own, drop us a line on enquiries.vintageairsoft@gmail.com to discuss. ‘Like’ our Facebook page or follow the blog to get regular updates on projects and interesting videos and articles. Chopped it off. Now, there was a bit more to the job than that. I had to make a new foresight, held in place by two screws. 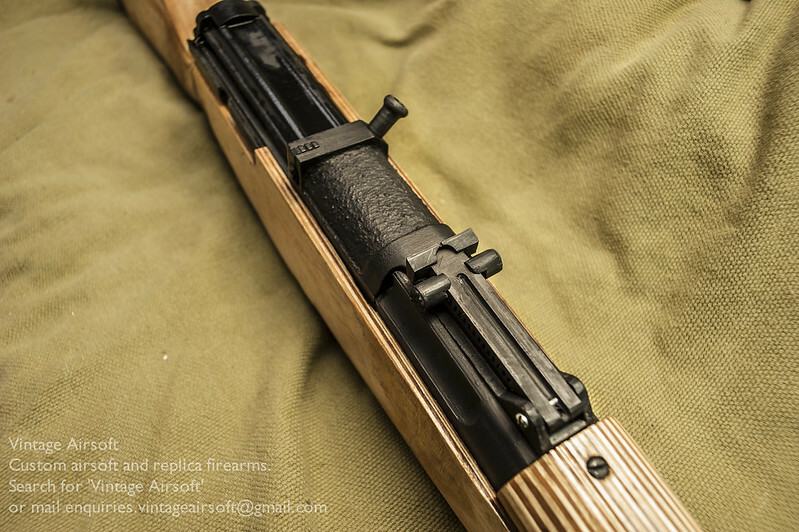 There is a new muzzle, which supports the inner barrel and keeps the barrel return spring in place. 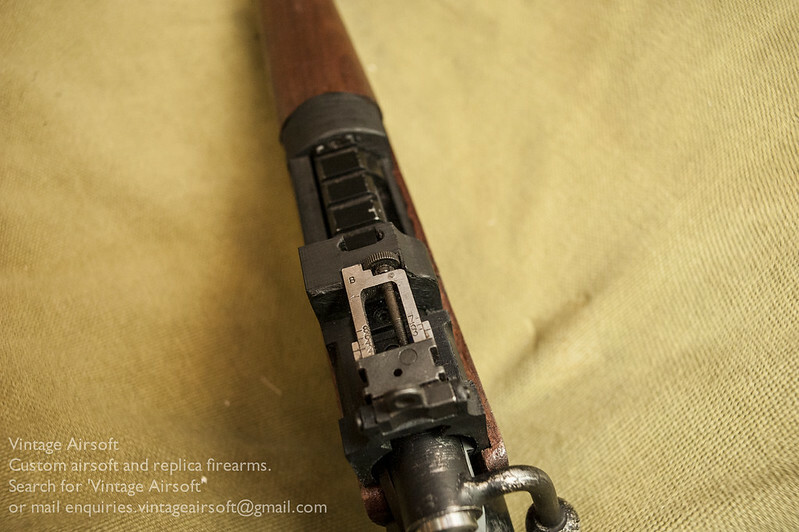 The inner barrel had to be shortened and recrowned on the lathe, as well as having the barrel return spring guide cut into it. The eagle eyed will also spot that the rear sight/locking bridge has been shortened to make it easier to draw from a concealed holster. Due to the paint finish being damaged in the process of chopping the barrel off, I decided to take it all off. It looks good in silver. But it looks better blacked. This is my first attempt with Birchwood Casey’s Aluminium black. It’s pretty good, better than I expected for sure. It was improved massively by a thin coat of silicone oil rubbed into the surface with a dry cloth, bringing it up to a dull shine rather than just a drab finish. As you can see, there are a few spots around the muzzle where it hasn’t reacted properly for some reason, but I can touch it up later if I feel the need. 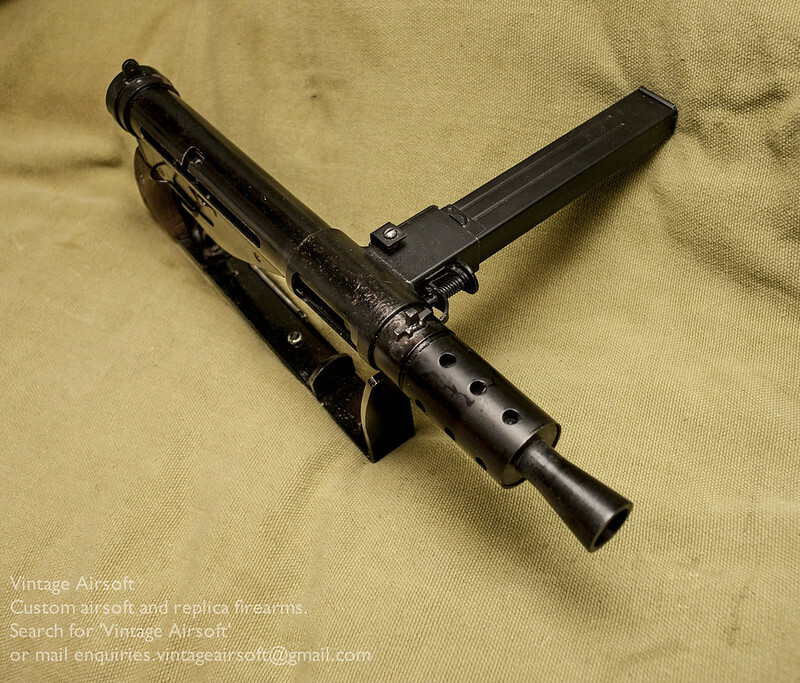 To be honest I think it helps give it a bit of a worn look, a snubnose shouldn’t look pristine, they’re a working gun. I left the foresight silver. Being steel, I’d need to apply a different finish (oil finishing if I were inclined to do so). However the big silver wedge in my sight picture gives me a nice aiming point even on such a small gun. I’m very much looking forward to using this. 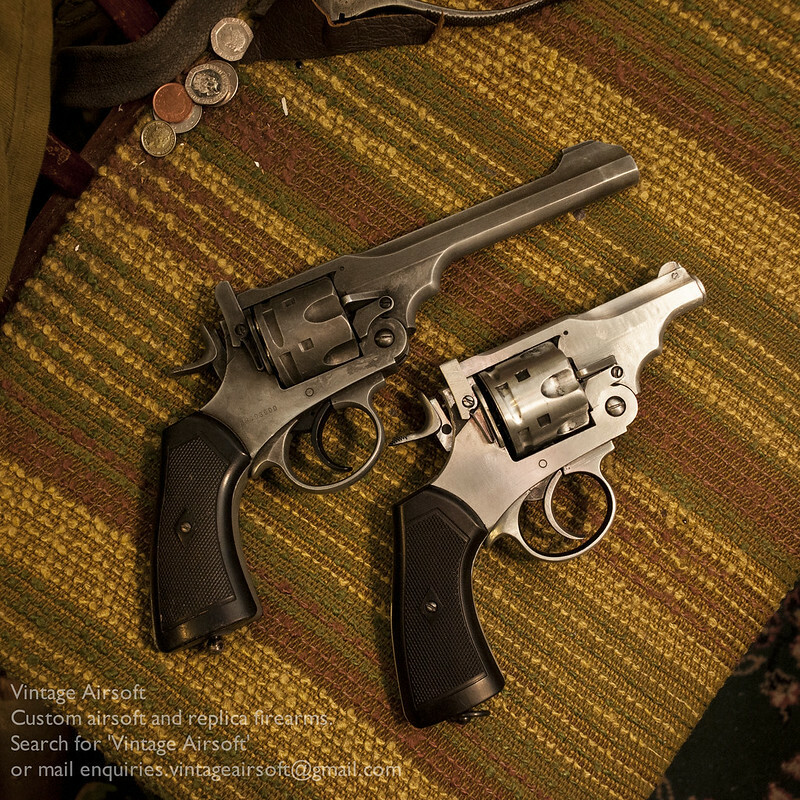 I may need a 1920s Gangster or Communist load out for it to look the part. Or just tuck it into my BD jacket for if I get captured. 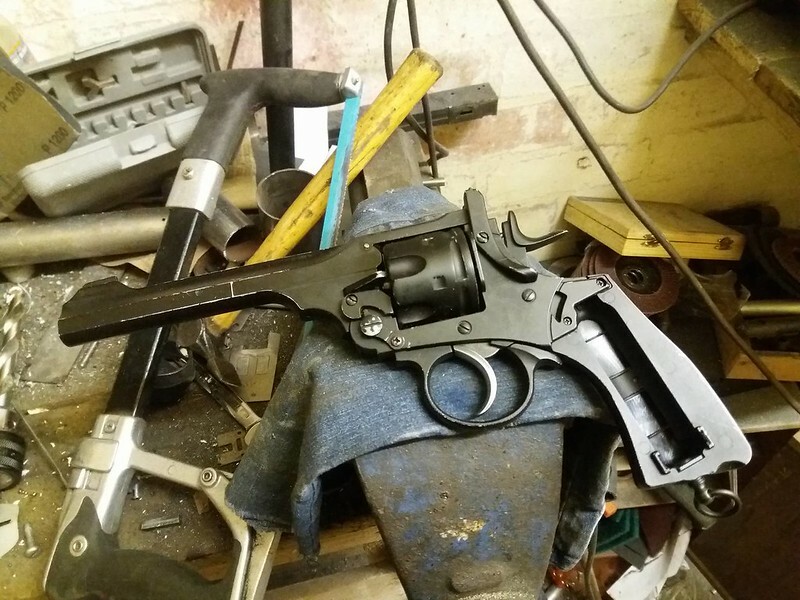 To see more Webley related builds such as the carbine conversion, shotgun shells and Pritchard Bayonet take a look here. 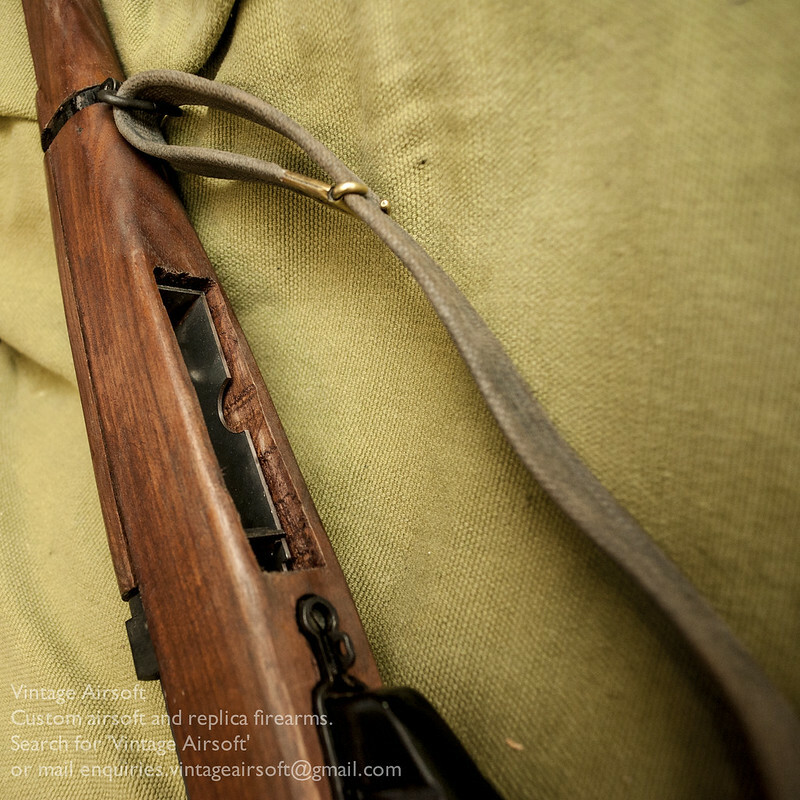 Well, the No.5 Enfield is complete! And she ain’t a bad looker though I say so myself. 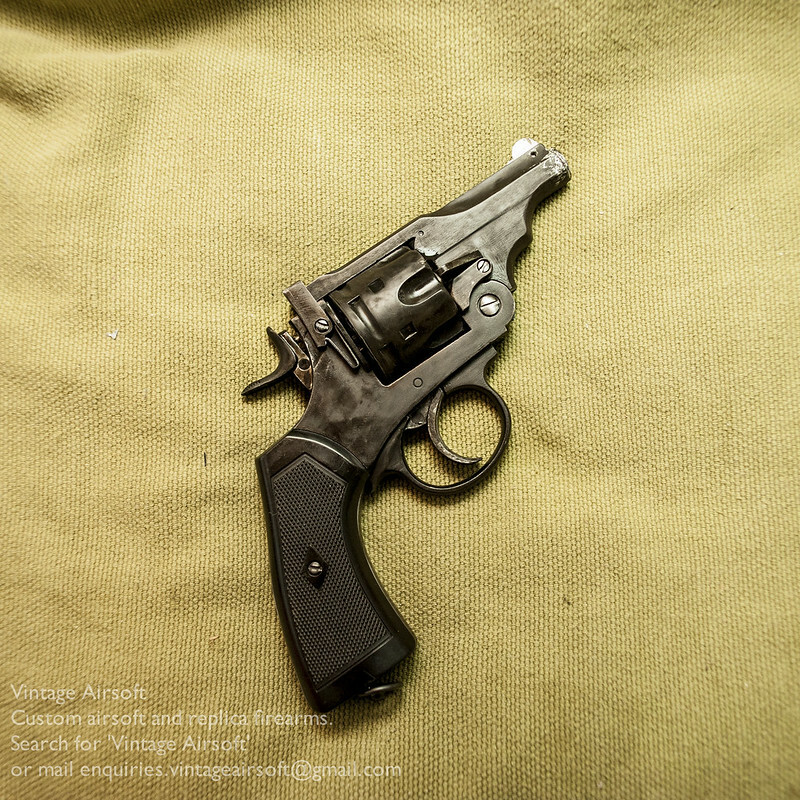 Not to mention as far as I know the world’s first Airsoft Enfield No.5. Let’s talk through her from back to front. The buttpad is hard rubber, in an ABS 3D printed cage re-enforced with Polymorph. 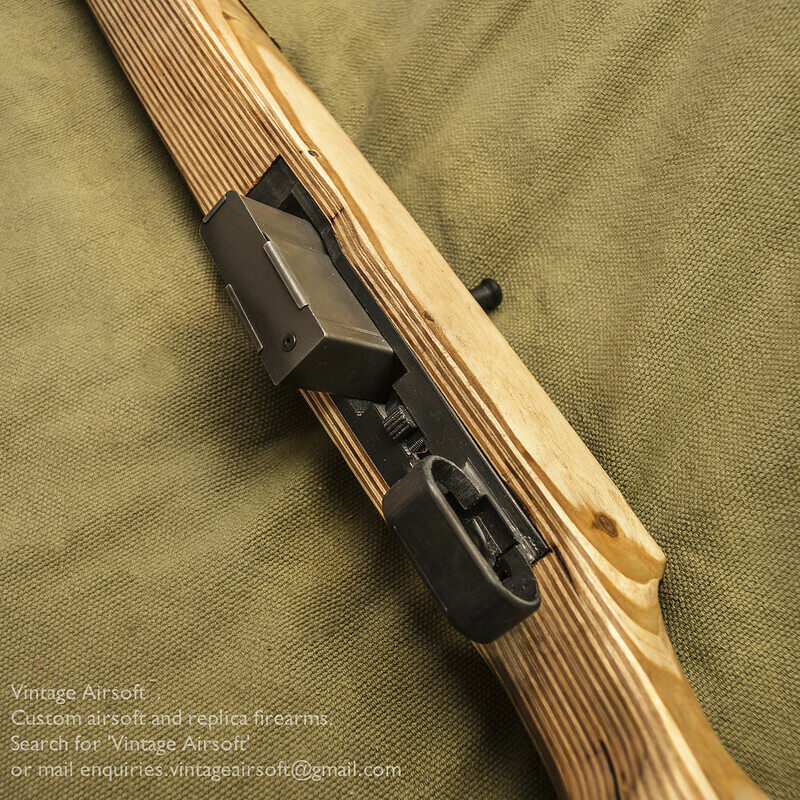 The 3D printed receiver covers the VSR internals for the most part. 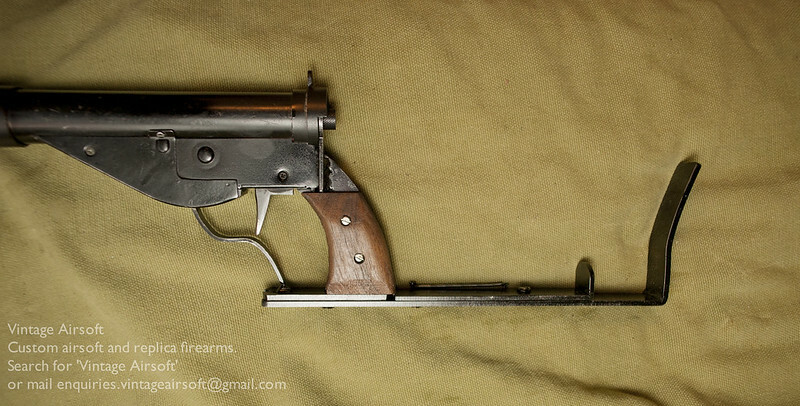 The trigger is a little square, I’ll probably round it off more for a comfort. The rear sight. A bit of tinkering and I may even make it so that I can use the ladder sight for longer range use. 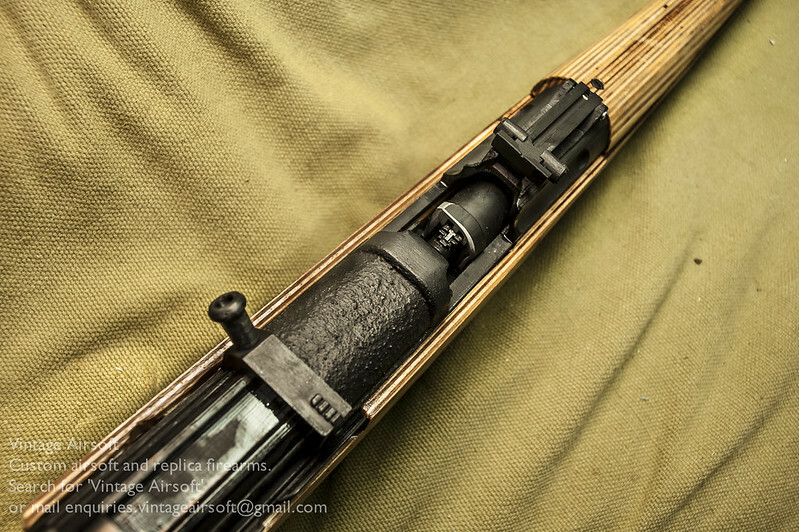 For my purposes at present however (a 1 Joule rifle for close, quiet use) the battle sight is just what I need. When testing, the windage adjustment in the foresight was very useful. I’ll have to add some elevation adjustment as well as that would come in handy. The hop adjustment the most discrete I’ve done on an Enfield yet. That little hole in the top guard is the TDC hop adjustment. 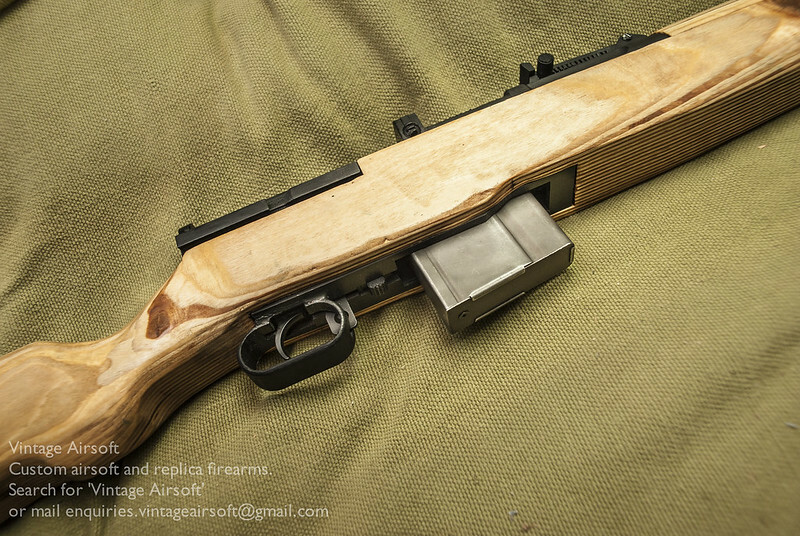 The magazine well is my standard VSR quick-load magwell. Ideal for the close work I intend to use it for. Last but not least, the rear sling bracket. 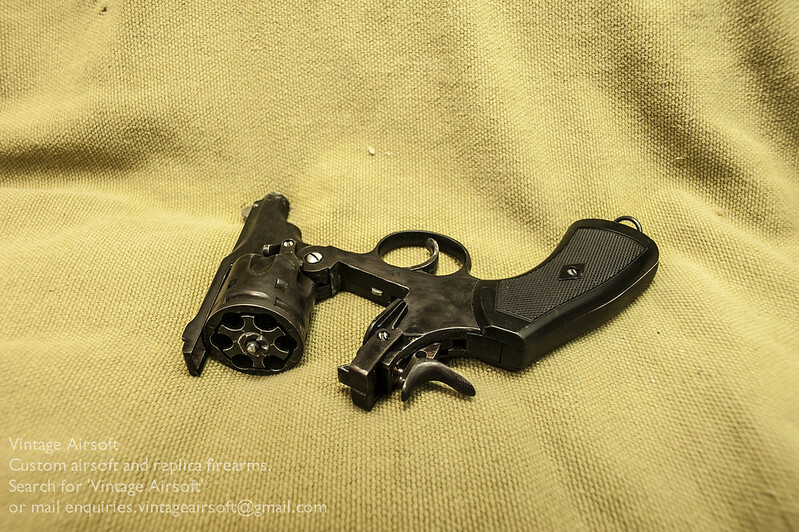 Distinct and unique to the No.5 carbine, this makes an odd pairing with the conventional forward sling swivel. 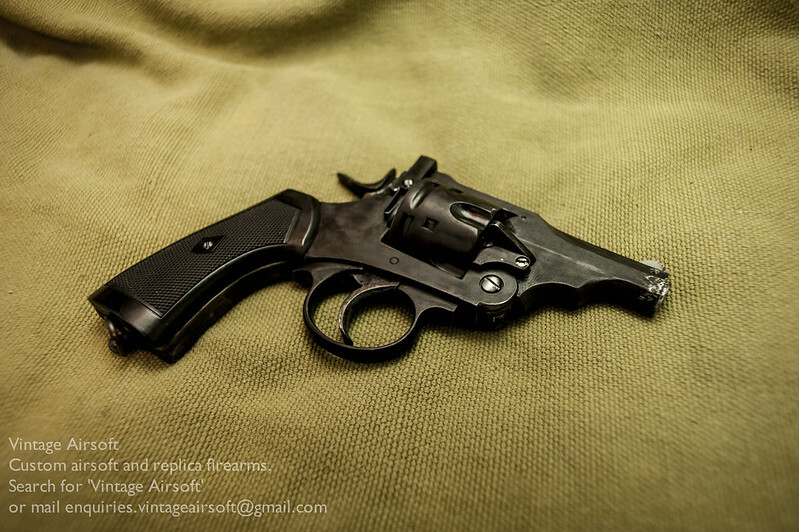 That said I have found it quite comfortable in use, with the gun swinging around less than with conventional swivels. 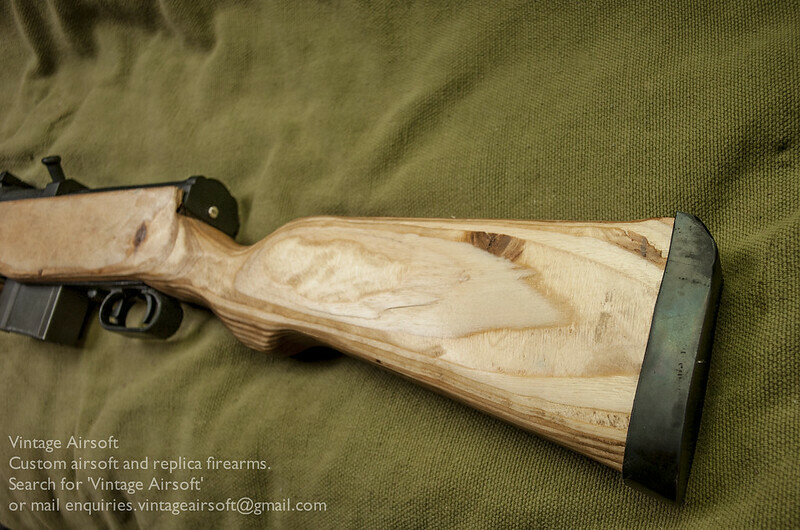 You can see the build for this rifle here.